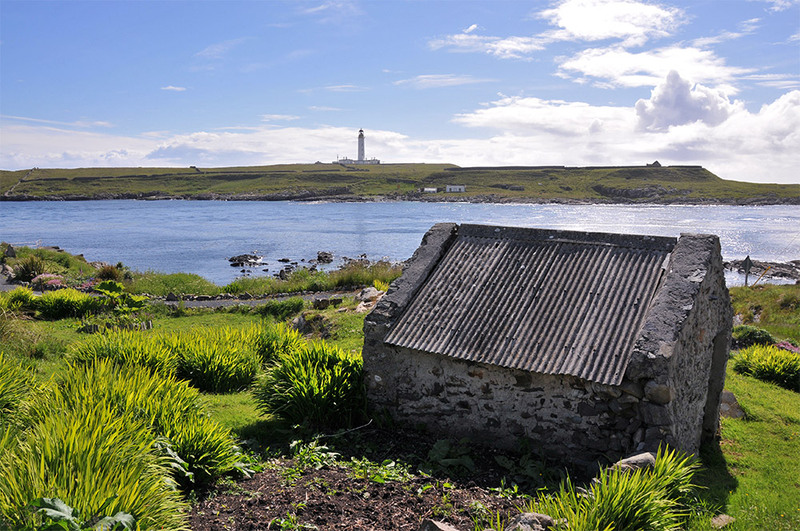 A view at Port Wemyss, taking in the coastal path with an old shed as well as Orsay with the Rhinns of Islay lighthouse. This entry was posted in Landscape, Lighthouses, New Post, Sunny Weather, Village and tagged Orsay, Port Wemyss, Rhinns of Islay by Armin Grewe. Bookmark the permalink.